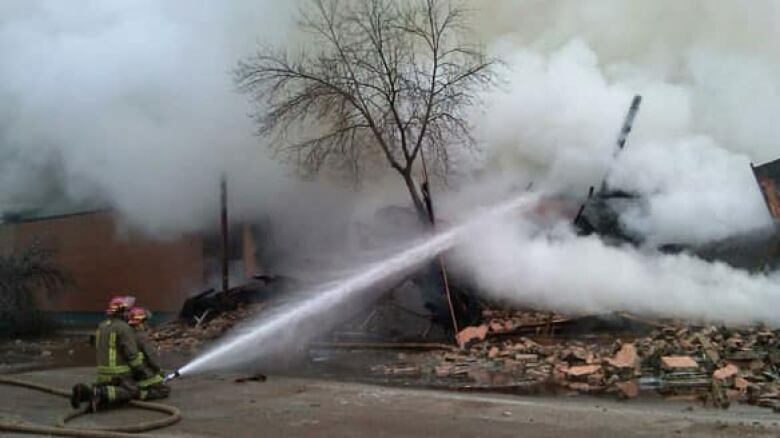 Huge fire destroys historic hotel in Melville, Sask. 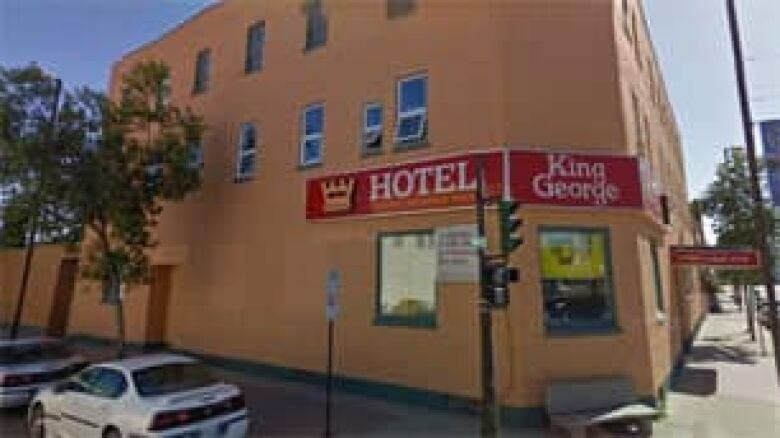 Fire has destroyed the century-old King George Hotel in Melville, Sask., reducing the historic structure to a pile of smoking rubble. The fire started Wednesday in the kitchen around 9:20 a.m. CT, according to RCMP. 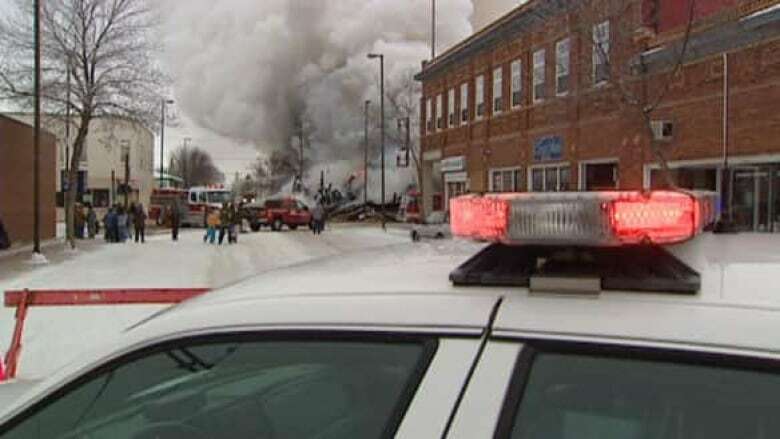 It soon developed into a major fire that had crews scrambling to try to save the brick building. People at the scene told CBC News the fire was still raging at around 11 a.m., and that the walls were beginning to collapse. "The flames are huge. Probably 30-foot flames shooting out of the top of the building here," said Carlos Haywood, a longtime Melville resident, as he watched from nearby. A large crowd gathered downtown to watch as the firefighting efforts continued. "I am seeing a structural wall fall down in front of Main Street and 3rd Avenue here and the [flames] are rolling through the ceiling," Haywood said. Haywood said crews were pouring water on the building, but it didn't appear to have any effect. "It's just too hot and big of a fire," he said. Eventually, the building collapsed. Firefighters were putting out hot spots hours later. Police said there were some minor injuries reported, but everyone was evacuated from the building safely. John Krewda, 84, had lived in the King George for the past 40 years. He got out just in time, but his possessions didn't. "I lost everything," he said. Krewda has been given a room at another hotel in Melville. People in the community say they will help take care of him. The hotel, seen here in a Google Street View image from 2009, was being renovated. ((Google))The hotel, which was being renovated, was a symbol of the city's past and its future, deputy mayor Valdeen Mathies said. "This was an old landmark. Plus, it employed people," Mathies said. Investigators haven't determined the cause of the fire.